On Saturday, November 4, 2006, Houston Parks and Recreation Department rededicated southeast Houston's Fonde Park. Located at 5500 Carrollton and accessible from 2500 Hansford, at its opposite end, the 12.7-acre park was acquired by the city in 1950. The park's name honors Miss Corinne Fonde, a long-time administrator of the Recreation Department and the first deputy director when the Parks Department and the Recreation Department were combined into one city department. 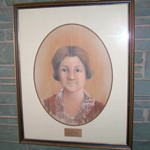 The Fonde Recreation Center, just off Buffalo Bayou near downtown and the Victorian homes of the Sixth Ward, is also named for Miss Fonde. The November rededication was held to unveil recent improvements to the park. Neighborhood kids will love the new playground equipment and basketball court. Walkers and joggers will enjoy improved landscaping as they use the newly built trail. The ball field has been refurbished, and the parking facilities and the lighting for the park have been improved. The neighborhood around Fonde Park is home to the Orange Show, which had three of their famous Art Cars on display at the November 4th rededication. Kids at the event had the opportunity to create their own Art Car holiday ornaments. The weather was beautiful, and so are the improvements at Fonde Park.